Located in the Lancashire Countryside, Crow Wood Equestrian offers tailored livery packages with amazing onsite facilities to hand. 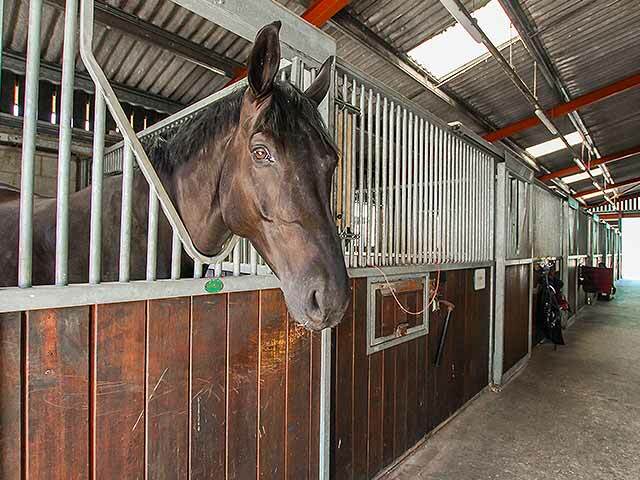 Our facilities include two Indoor Arenas – 61 x 22m and 41 x 22m, a large Outdoor Arena – 61 x 30m, fully surfaced Gallop Track, Lunge Pen, Wash Box & Solarium, Water Treadmill, TheraPlate, Monarch Horse Walker and heated reception area equipped with coffee and snacks. All of our arenas are equipped with a top of the range Equestrian Surface. 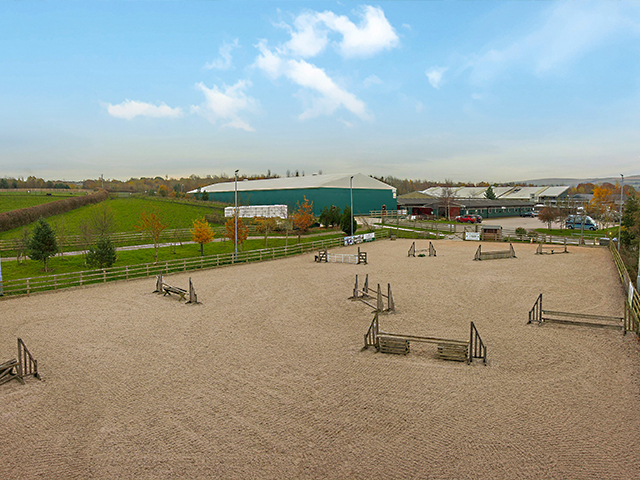 Our Outdoor Arena is accessible all year round with jumps available during the summer months. 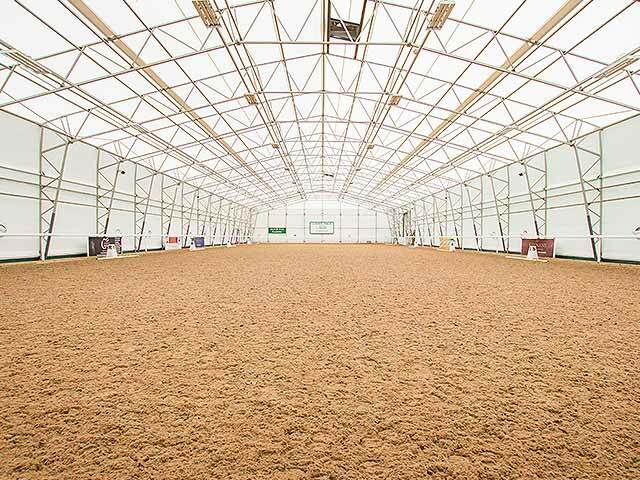 Our large Indoor competition arena is available to hire, if you are wanting practice for an upcoming dressage test or as an outing for your youngster, the arena is available for private hire or shared use on an Open Arena day. 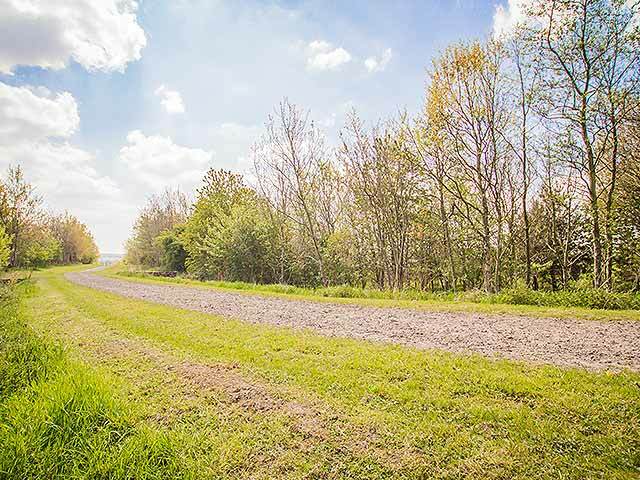 Our Gallop track is available for all of our liveries to enjoy, with just under ½ a mile of surfaced gallops you and horse can complete as many laps as you wish. 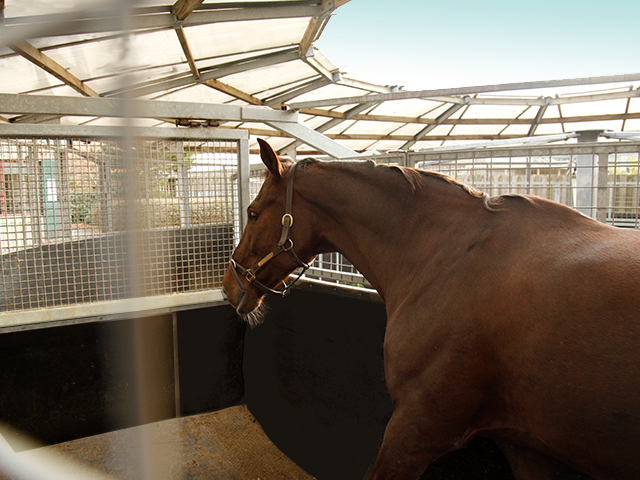 The Water Treadmill can help with both fitness and rehabilitation for your horse. 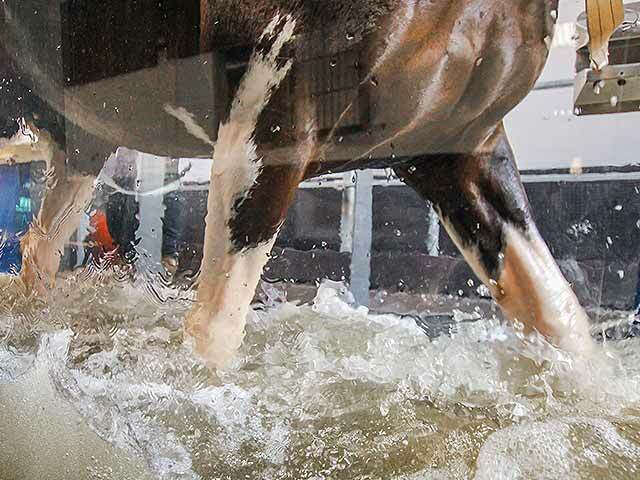 With varying water levels our Treadmill can be used for different injuries, from suspensory problems to back issues, we can help! Crow Wood Equestrian is equipped with two Monarch Solariums and a fully rubber matted hot wash shower. Bathing your horse in the middle of winter has never been so easy. Spacious, purpose built American barns provide stabling in quality Monarch 12 x 12 loose boxes for up to 49 horses. 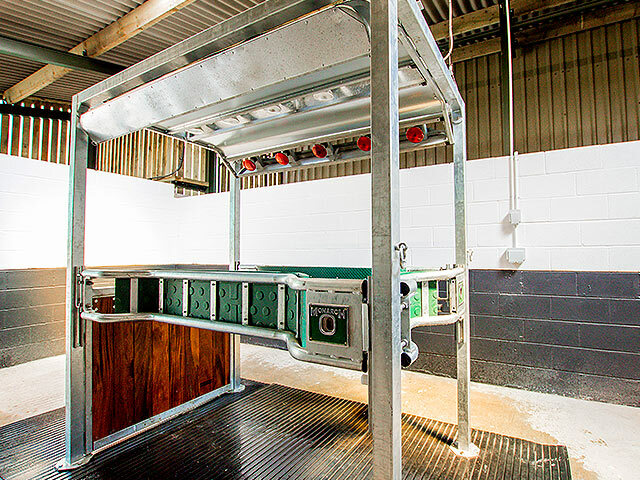 Each of these impressively equipped boxes has integrated automatic water bowls, feed bins and haylage racks. Monarch’s 5 horse, covered, fully rubber matted horse walker is included for liveries to use as they wish. It is also included as part of our rehabilitation livery (if the vet permits). 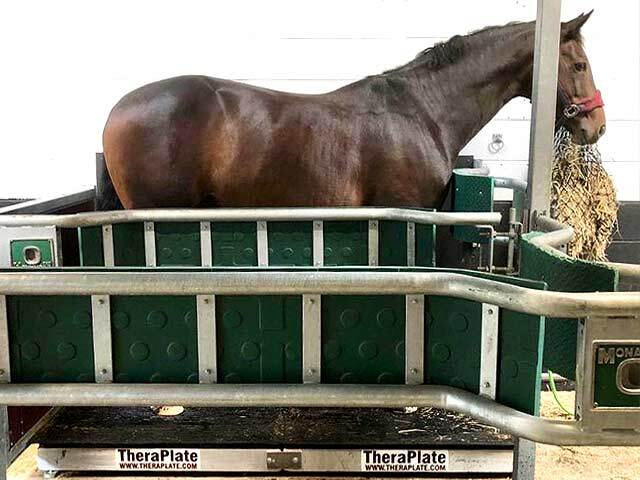 Crow Wood Equestrian has added to their extensive rehabilitation facilities by introducing a TheraPlate. With its Active proprietary Vortex Wave Circulation Stimulation Technology, the Theraplate can speed up healing in half the time, help with injury prevention and reduced the cause of most pain. Our on-site security system covers all areas including our on-site parking for lorries and trailers. 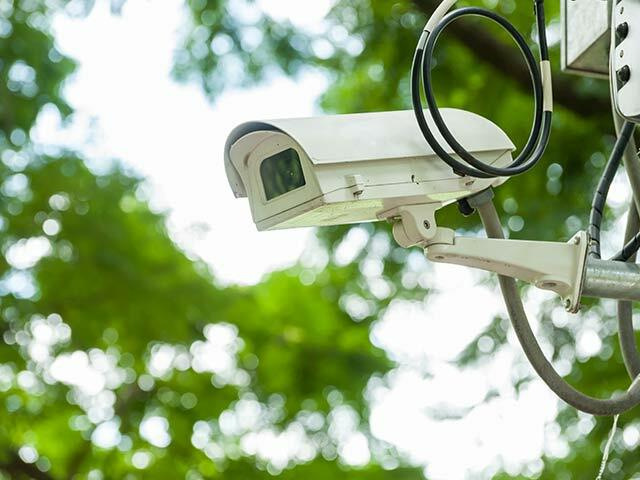 It is monitored 24/7 by an external security company acting as an effective deterrent.